The Georgian Courtyard once a busy place is now converted to its original stone facade, within each section of the courtyard. The conversion of the grain mill and stone is known as The Granary. Tastefully decorated in warm texture and colour with all mod cons and sleeps 4-8 persons. The Coach House is, as its named and containes three & one bedroomed cottages also decorated in warm textures and colours with mod cons and sleeps 2-3 persons. The area that was once the Stables has 8 apartments also known as The Stables and consists of 1 and 2 bedroomed modern apartments with mod cons. Each can sleep between 2 and 5 persons with each being individually decorated. 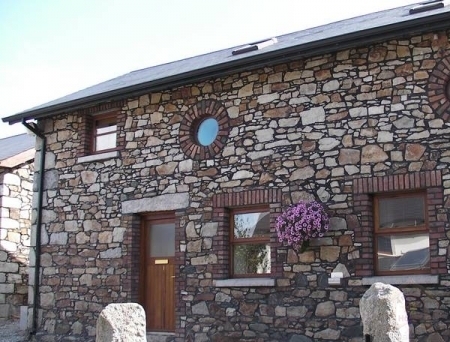 Llike all accomodation in Rathmore no cottage or apartment is the same, this way one can enjoy a different style each time they visit. Where once the cows were milked is now known as The Byre. These are four cottages old style with their own area and loft.